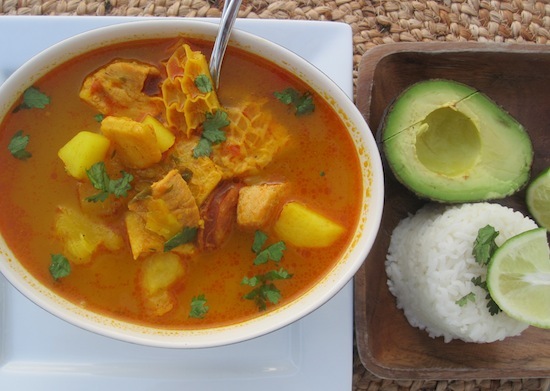 Mondongo Colombiano, which is pork, tripe and chorizo soup, is served in every traditional Colombian restaurant. 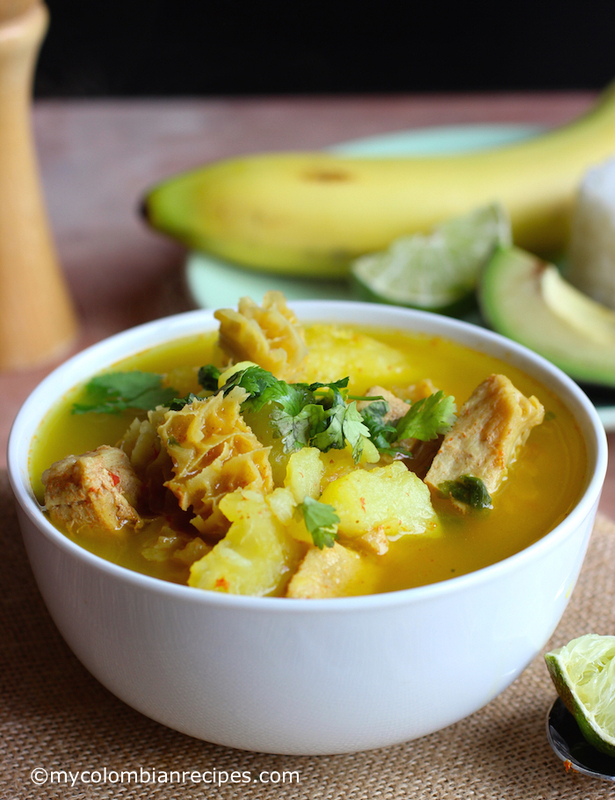 It is a hearty soup and a signature dish in every home in the Andean zone of Colombia. 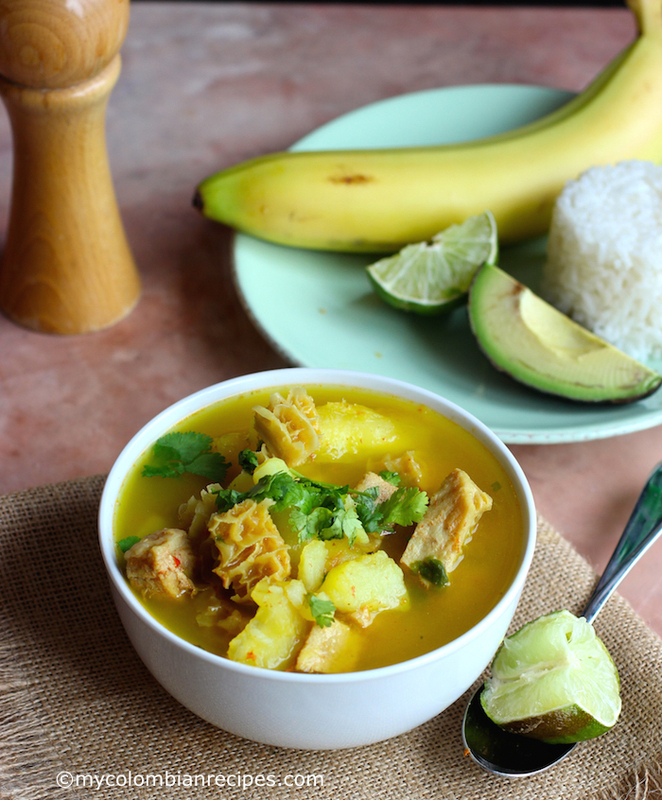 My grandmother used to make the best Mondongo I’ve ever had! 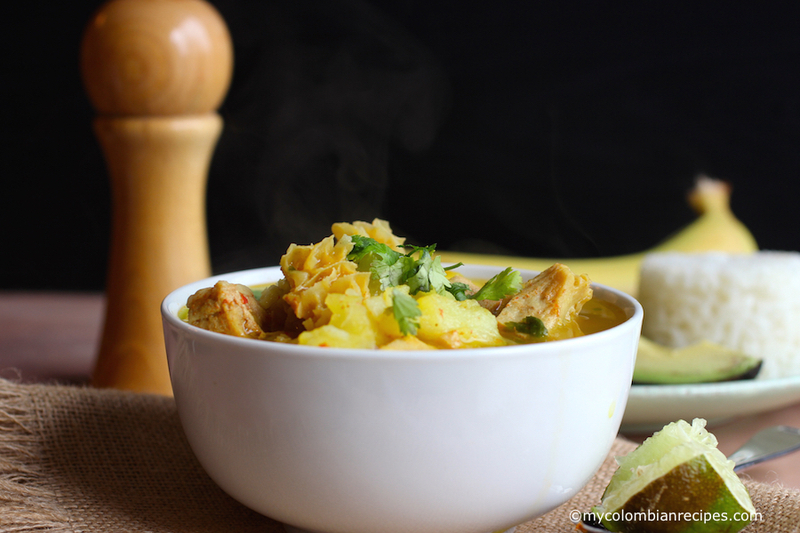 To make Colombian Mondongo, a variety of meats and vegetables are cooked together until everything in the pot is fork tender. Tripe is the main meat in the dish and it is balanced with lean pork and pieces of chorizo, which are used for rich flavor. 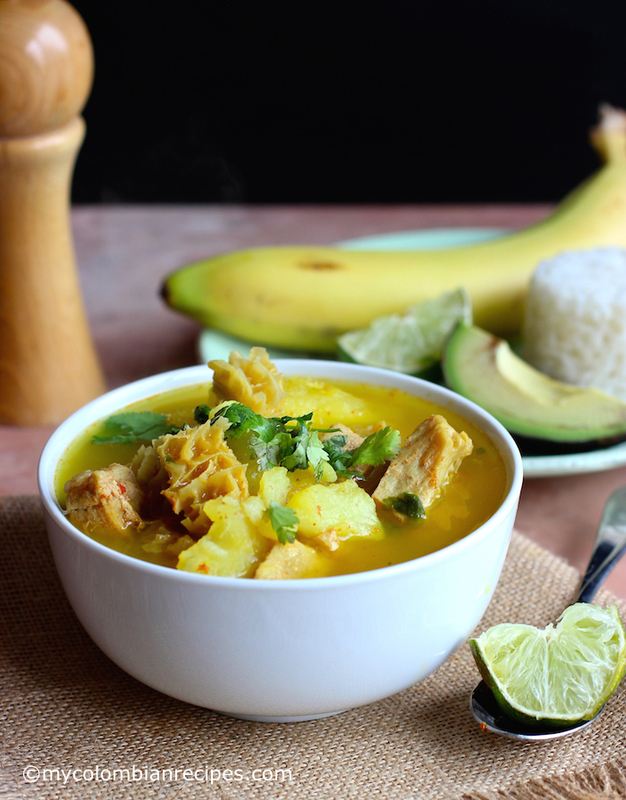 Mondongo is a complete meal, accompanied by white rice, avocado, banana and drizzled with lime juice. Traditionally, the tripe is cooked in a pressure cooker, which cooks the tripe faster, in about 45 minutes. If you don’t have one, simmer for a couple of hours in a normal pot. 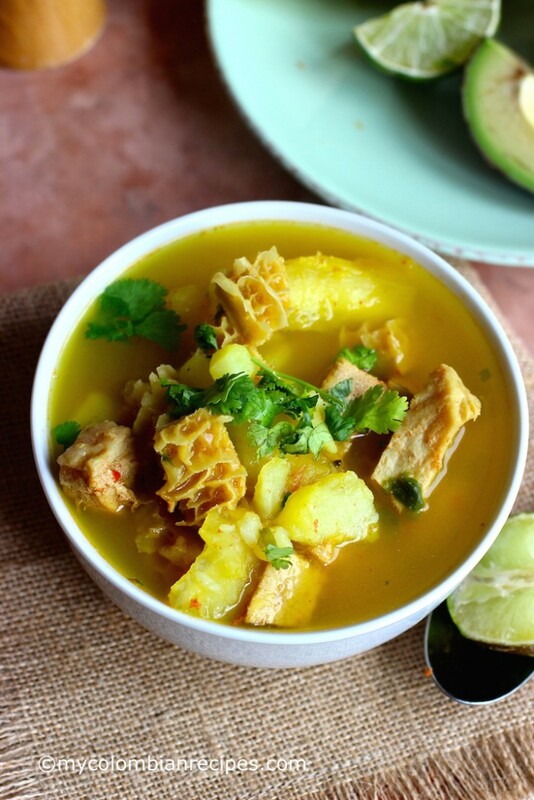 Wash the tripe with warm water and rub with lime juice. In a large pot combine the tripe, baking soda, and enough water to cover the tripe by 2 inches. Bring to a boil, reduce to a simmer and cook until the tripe is very tender, about 1 1/2 to 2 hours or 45 minutes if using a pressure cooker. Drain the tripe and discard the water. In a large pot, place the cooked tripe, pork meat, chorizos, tomato, scallions, onion, garlic, cumin and achiote. Add enough water to cover. Bring to a boil, and then reduce the heat to low and simmer slowly. For about 45 minutes. Add the yuca, cilantro and potatoes. Cook for 30 minutes more. Ladle into bowls, and garnish with additional fresh cilantro and lime wedges. 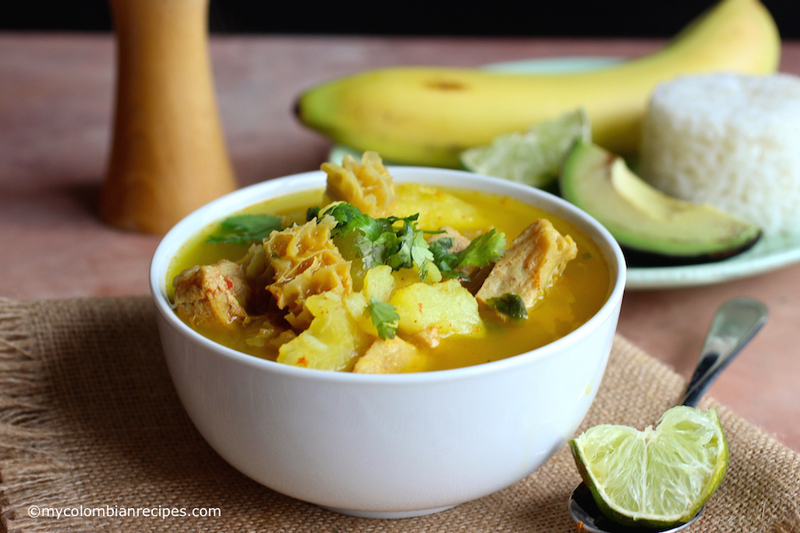 Serve with white rice, avocado, banana and hot sauce(ají) on the side. Oh, I LOVE mondongo!!!!!!!!!!!!!!!!!! Thanks for the recipe!!!!!! I’m going to try this recipe on Saturday. Glad I looked it up. Although I’ve never had this dish, I know I would love it! It reminds me of some of my tripe dishes. When you buy your tripe, do you have to ‘clean’ it or prepare it in any other way before actually cooking it? Tangled Noodle- You have to wash it with warm water and I rub lime juice all over the tripe. Erica, I rememeber going out on a Friday night and then eating mondongo on saturday to give you energy from the night before. 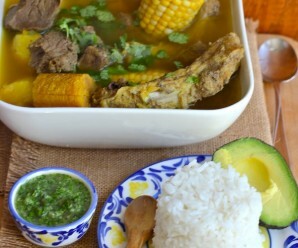 We used to call it “levanta muertos”…..Wish I had a plate right now! Love the colors, looks so delicious! We used to have tripe in stew Chinese cooking. There are many ways to enjoy tripe in Greece and one of them is patsa, a tripe soup which is the perfect hangover fix. There are many patsa restaurants serving it from the night to the morning (never during the day) and they have big signs on the windows that announce WE SERVE PATSA. Your version sounds utterly delicious… I would like very much to try it. Tripe is not for everyone…but for me, si, sí, sí! I love mondongo and yours looks delicious. Great photos with this one too. Joan- You are right…tripe is not for everyone!!!! Thank you! I’ve never had mondongo, but I’d love to try it. Your soup has a marvelous combination of flavors. 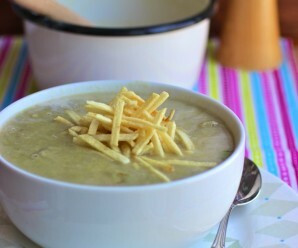 great soup tripe is common in NW England never tried it though texture put me of! My dear, tripe is not for this chick either. But, the soup without it must be good. 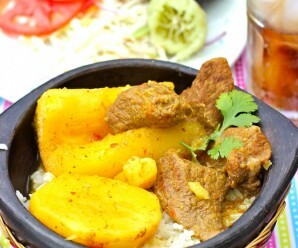 Erica I Make Mondongo The Dominican And Peruvian way, Now I’m Going to try The Colombian Way, It Looks Delicious! Thank you guys for visiting and for your comments! Thats it! Cant take it anymore, either I go to your house for dinner or to Colombia on my next holiday! These recipes are incredible! Love chorizo, love tripe, just so drooling here!! tripe scares me a little bit, but my love for chorizo can overpower it. great soup! I’ve never had tripe but my hubby loves it. I should make this for him! sounds delicious Erica! 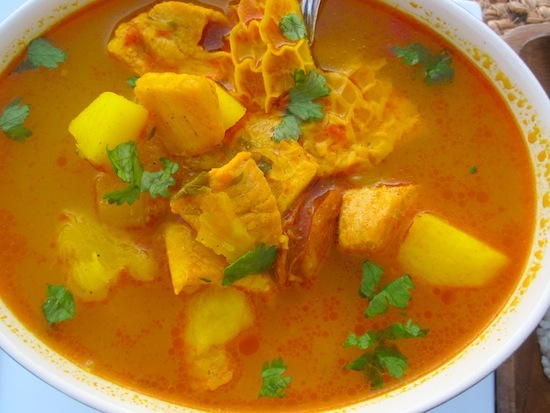 I have not used tripe yet, but have heard how good it tastes many times from Mexican friends! Alexis would divorce me if I tried to bring tripe into the house. Bad memories from her childhood, ha ha. I’ve never had tripe before, but would love to try it if someone prepared it for me this way, as you’ve done here. 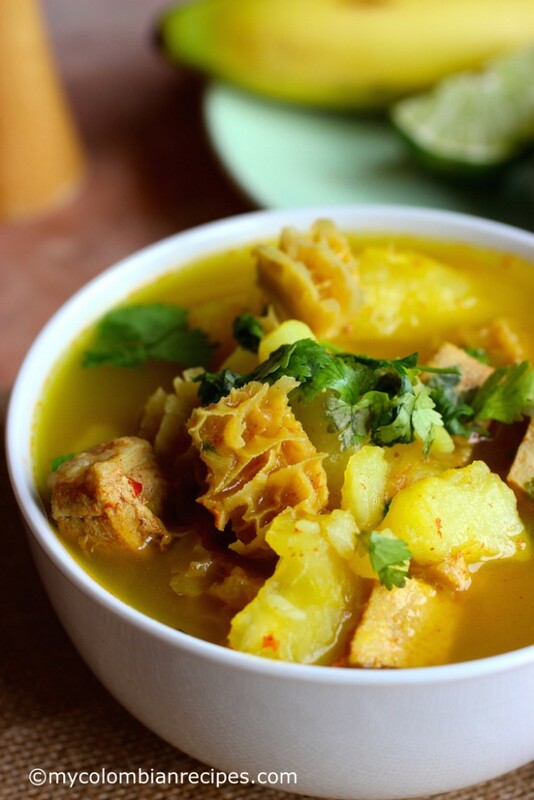 Now I have to get my hands on some tripe – your soups are always amazing and this one looks as delicious as all the rest. Yes, not everyone will go for tripe but I will! I’ve always enjoyed it the “Greek” way though so this looks so different in flavor and fantastic! I’ve heard of the Dominican version but have never gotten to taste that either … will have to try Mondongo soon! This looks absolutely delicious! I will make this. Now, one of the garnishes you mentioned banana. Is that just a regular banana, peeled on the side with the avocado and lime? Amanda- Yes, a regular banana. I’ve eaten tripe in many ways. I’m Puerto Rican so we eat our fair share of mondongo. When I went to Medellin, Colombia I loved the way they served their mondongo. Rice, avocado, lime and don’t forget the arepas. Simply delicious. Dios bendiga Colombia!!!! I am so excited to find your blog! My fiance is paisa and I have learned to cook a lot of his dishes. Mondongo is one of his favorites. Looking forward to reading your recipes! I’m making Mondongo tonight and the smell is DELICIOUS!!! My husband is coming home from a long trip and I’m surprising him with this amazing soup. Thanks for sharing. Love your website! I completely adore you and thoroughly enjoy your recipes! My parents are Colombian and I love keeping in touch with my roots. Que bueno me quedo el mio….! I’m so excited!! its been at least 13 yrs since i last had mondongo!! 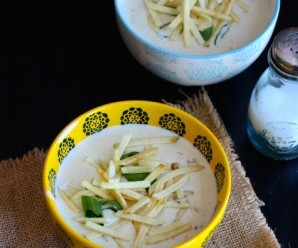 looking forward to making this at home and my husband trying out one of my favorite foods of my childhood! Thank you Erica!! I dont eat pork at all (allergic), what other type of meat can i use in substitution? Thank you for your recipes. I just made the Arriz con Pollo & it was delicious. My father was from Barranquilla & his family from Cartagena & Bogota. He passed & I didn’t get all the family recipes. From what I’ve tried, your recipes are Authentic In flavor. I plan to make the Mondongo soon. Just want to know where I can find Colombian Chorizo? I have never seen it. Thank you & may God bless you. I find Colombian chorizo at my local Latin market. Can’t help by notice that the recipe does not contain SALT. Is this a typo? Add salt to your taste. I use the achiote powder.